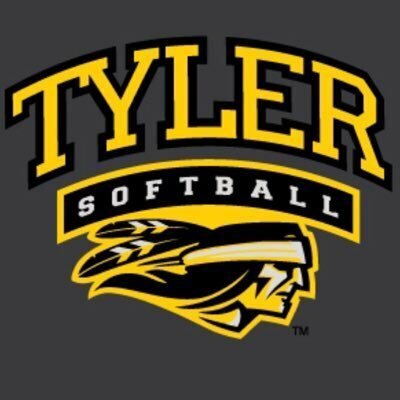 Tyler Junior College’s softball team has garnished a lot of attention, opening its season with a record of 37-5 in Coach Maria Winn-Ratlif’s 3rd season. Since Winn-Ratlif’s introduction as head coach for the TJC softball team in 2016, steady improvement has surrounded the program. In comparison to last year, TJC is exactly on track to earn placement in the NJCAA regional and national tournaments. The team is so prestigious that retaining a solid roster can sometimes be a difficulty. Statistically, the TJC softball team seems undefeatable. The team batting average comes in at .385, with an on-base percentage averaging at .488. Trying to isolate the team’s “stars” becomes difficult as everyone on the roster bolsters a unique quality, be it a superb batting average or a stunning slue of homeruns. As of now Tanjala Smith leads the team with 10 homeruns, closely followed by Courtnie Heller’s eight homeruns. On the mound this year, TJC is led by the three strikeout queens; Dakota Stotyn with 49 strikeouts, Abbie Dart with 63 strikeouts, and Audrey Pickett with 52 strikeouts. The three average at a 2.8 ERA (earned run average) which brings sense to the stunning 37-5 record that the team is currently positioned in. The three-pronged defensive shell formulated by the queens has allowed the team to flourish offensively, creating various blowouts throughout the season. In their 42 games played thus far, the team has scored 366 runs throughout the season. This indicates that on average, the team scored 8.7 runs a game. If this is compared to the 2.8 ERA presented by the strikeout queens, many victories should await the team. With the team nearing the last leg of the season, keep an eye out for their tournament runs throughout the month of May. For now, the team will face Northeast Texas Community College this Friday, April 5, at 1 PM central time. Regular season play will conclude at the end of the month with another matchup against Northeast Texas Community College, scheduled to be played Saturday, April 27 at 3 PM central time.